Hussam al-Kawasmeh arrested in Jerusalem neighborhood of Shuafat; 'no doubt' Hamas leadership aware of kidnapping. Israeli security forces have arrested the leader of the Hamas terror cell which kidnapped and murdered Israeli teenagers Naftali Frenkel, Eyal Yifrah and Gilad Sha'ar. Hussam Kawasmeh, a resident of Hevron, was arrested in the Arab neighborhood of Shuafat in Jerusalem in a joint operation involving IDF forces and the Shabak (Israel Security Agency), and has admitted under interrogation to having orchestrated the kidnapping and said he received funding from Hamas officials in Gaza. It is not clear precisely when he was detained, but news of the arrest was only released for publication on Tuesday evening. He is a close relative of Marwan Kawasmeh (30) who, along with Amar Abu-Eisha (32), is believed to have physically abducted the three teens, murdering them shortly afterwards. 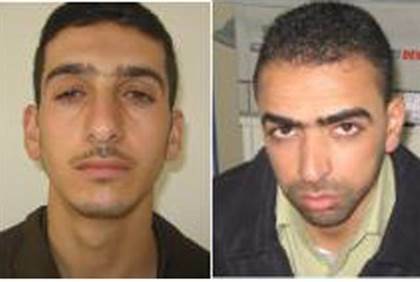 Both men are well-known Hamas operatives in the Hevron region, who have both spent time in Israeli prisons. Marwan is the brother of Abdullah al-Kawasmeh, the former leader of the Hevron branch of Hamas's "military wing", the Ezzadine al-Qassam Brigades. Abdullah was killed in a shootout with elite Israeli counterterrorism police in 2003, who were hunting him for his involvement in several deadly terrorist attacks. They are still on the run, but an extensive manhunt is still underway and security services say they are "confident" the pair will be caught soon. Their houses were demolished by the army soon after the bodies of the abducted teens were found. Hussam, however, is believed to have masterminded the kidnapping. A fourth suspect, Hussam Dufash, was arrested in Hevron a month ago. According to Walla! news, Hussam Kawasmeh's brother was among more than 1,000 terrorists freed in the "Shalit Deal", and was subsequently deported to Gaza. Palestinian sources told the outlet that there was "no doubt" that Hamas's leadership - both in Gaza and abroad - were aware in advance of the order to carry out the kidnapping. Hamas terrorists released in the Shalit deal currently operate under the control of two key figures: former Hamas "interior minister" Fathi Hamad in Gaza, and Salah Al-Arouri, a senior Hamas official based in Turkey. Israeli intelligence services had previously linked Al-Arouri to the kidnap-murder, and his house was demolished by the IDF during Operation Brother's Keeper. Together, Hamad and Al-Arouri have reportedly coordinated dozens of terrorist attacks in Judea and Samaria. 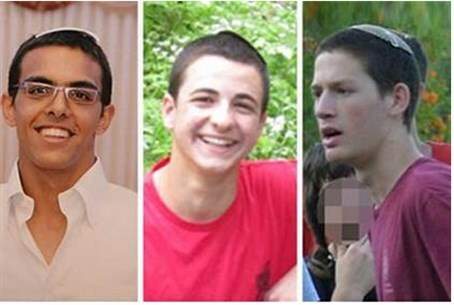 After going missing on June 12, Eyal Yifrah, 19, and 16-year-old classmates Gilad Sha'ar and Naftali Frenkel, were declared kidnapped the next day. Suspicion immediately fell on Hamas after intelligence pointed towards the involvement of Kawasmeh and Abu-Eisha, whose names were publicized two weeks later. An 18-day search for the three teenagers ensued, accompanied by a crackdown on Hamas in Judea and Samaria, but the search ended in tragedy after their bodies were found in field close to the Arab village of Halhul near Hevron. They were buried side-by-side in the city of Modi'in. The three boys are believed to have been murdered very shortly after being kidnapped; one source close to the murder investigation said a recording of a call made by one of the boys as he was being kidnaps provides crucial evidence that the murder had been pre-planned from the very start. The source claimed the kidnappers used a silenced weapon, indicating their attempt to actually use the gun, and dressed up as religious Jews to lure the victims into their car.